Marie radiates ease. She’s balanced (like her breakfast) and brings a sense of calm wherever she roams—whether that’s backpacking in deep woods or napping in her hammock on the East Side. She came to Spotts with a degree in Environmental Management and a desire to return spaces to their natural beauty. 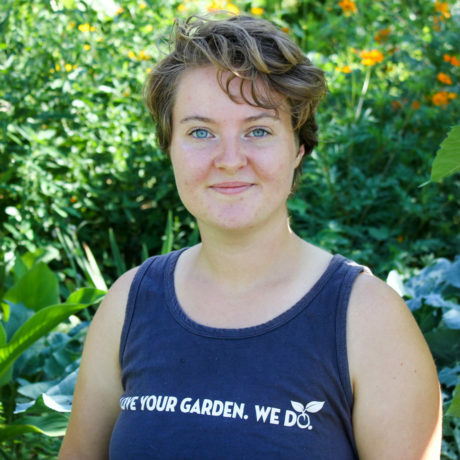 Her passion for habitat restoration influences her preference for native plants and advocacy for organic alternatives to synthetic pesticides and fertilizers. With an innate understanding of the natural world and a particular talent for trees and their care, Marie is exceptionally well- suited for her role as one of our lead pruners. Her unflappable go-with-the-flow attitude is an invaluable asset to the team, especially when the day hands us lemons.